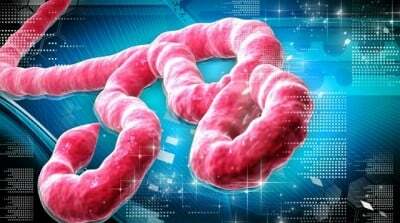 Noted infectious disease experts have said that the current strain of Ebola virus plaguing Africa and slowly spreading in the United States is potentially much more lethal than previous strains identified by virologists. As reported by Washington’s Blog, Dr. Michael Osterholm, the head of the Center for Infection Disease Research and Policy at the University of Minnesota, a prominent public health researcher who is nationally recognized, gave a talk in recent days explaining what another top Ebola virologist has found. During his talk, which was broadcast on C-SPAN, Osterholm said Gary Kobinger, chief of Special Pathogens for Canada’s national health agency, has said the current Ebola strain appears to be far worse than any previous strain. He added that Kobinger believes that the current strain could more easily be spread through aerosols than those previously identified as well. “Today I’ve been given permission — something I’ve known about for a few weeks… when I wrote the piece, I knew about this, and it’s concerned me greatly,” said Osterholm, in discussing an article that he previously wrote on the issue with an audience at Johns Hopkins Bloomberg School of Public Health, in a video clip that can be seen here. Osterholm said he was not trying to scare anyone or raise undue fears, but rather, he said, the goal was to motivate policymakers to come up with a “Plan B” should the virus, at some point, mutate and become airborne, like the common influenza virus — a huge deal, now that flu season is once again around the corner. Just a week earlier, another top virologist, Peter Jahrling, chief scientist at the National Institute of Allergy and Infectious Diseases, where he runs the emerging viral pathogens section, said he, too, is worried because “the mutations of the virus that are circulating now look to be more contagious than the ones that have turned up in the past,” Vox reported. “When his team has run tests on patients in Liberia, they seem to carry a much higher ‘viral load.’ In other words, Ebola victims today have more of the virus in their blood — and that could make them more contagious,” the site reported. It is largely forgotten now except within the virology community, but in April, a few months after the outbreak began in West Africa, a group of 30 scientists and researchers published a report in the New England Journal of Medicine which said that the current strain of the virus did not come from Central Africa but was instead a new strain. Ebola is endemic to Democratic Republic of Congo, Uganda, South Sudan and Gabon, and scientists initially believed that Central Africa’s Zaire strain of the virus was responsible for the outbreak. Using analysis of blood samples from infected patients, however, researchers determined that while the Guinean form of the Ebola virus (EBOV) showed a 97 percent similarity to the Zaire strain, the disease was not introduced from Central Africa. It’s a worthy question, given the evidence and findings that the current strain did not originate where the last strain originated.